Selective listing of graduate-level course notes in all core disciplines. What first-year PhD students read, with comments. Which journals publish what, plus statistics related to selectivity. - finance ranking at Arizona State. Applying to economics PhD programs: what it takes, how it works, what to expect. Or start with Tony Williams's (JHU) recent observations. Detailed applicant profiles and outcomes from 2002, 2003 and 2004, downloadable as a spreadsheet. Scott Barkowski’s (UCLA) page links to admission statistics some departments publicize. Whogotin, untitled at TestMagic, and Grad Café track ongoing admission activity. Primary areas of recent activity by department in a spreadsheet, assembled from the rankings database. The most active forum for econ applicants is testmagic (graduate admissions, PhD economics, PhD business). Auto Admit and Princeton Review are worth a look. For those on the job market, try econ job rumors. The place for application-related questions is a discussion board. Clarification in regard to rankings can usually be found in the methodology section. Advance apologies to the many friendly people who e-mail me with suggestions; I'm slow to respond nowadays. My research and the job market have priority. 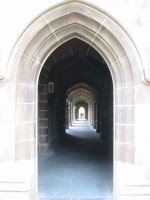 04/07: (CR) On a personal note, I’ve accepted a lectureship at the University of Queensland. The department is less known internationally than my main competing offer, but hired outstanding senior professors in micro theory last year and is quickly becoming recognized as Australia’s top research department, certainly in micro theory. I’m already teaching at UQ as of February, so even less time gets committed to maintaining econphd.net. But an update of the rankings is still on the cards for 2008, given the wide interest – I will seek funding to hire research assistants. Matthew Pearson's (UC Davis) guide to Surviving the First-Year of grad school. On a related theme, Survive, Then Thrive, an empirical paper on grad school success. John Cochrane's (Chicago) recommendations for academic writing: Writing Tips for PhD Students. John Creedy's (Melbourne) introduction to the publishing process: From Manuscript to Publication. Harvard's Information for Graduate Students on the Job Market. John Cawley's (Cornell) manual A Guide and Advice for Economists on the US Junior Academic Job Market. Hisham Foad's (San Diego State) job-landing guide Memoirs of a Job Market Candidate. Paul Oyer (Stanford) on the luck factor in career success: The Macro-Foundations of Microeconomics: Initial Labor Market Conditions and Long-Term Outcomes for Econmoists and MBAs.